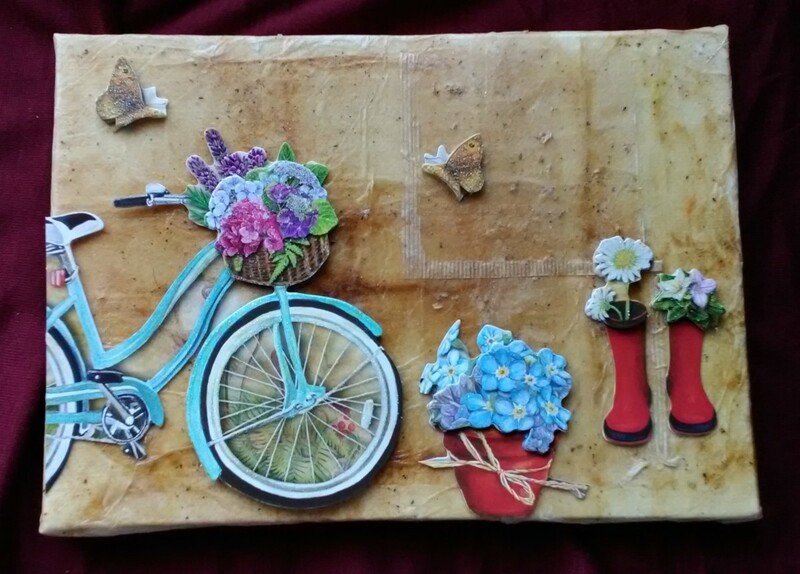 Small stretched canvas wrapped in black tea, tea bags and decorated with 3 D stickers. I recently noticed how many tea bags go into the trash and I wondered if there was any way to recycle them. My first thought was to throw them on the compost heap, but I wanted to do more than that. It was only after I started saving them that I noticed the colors. I drink mostly herbal teas so the colors varied widely. 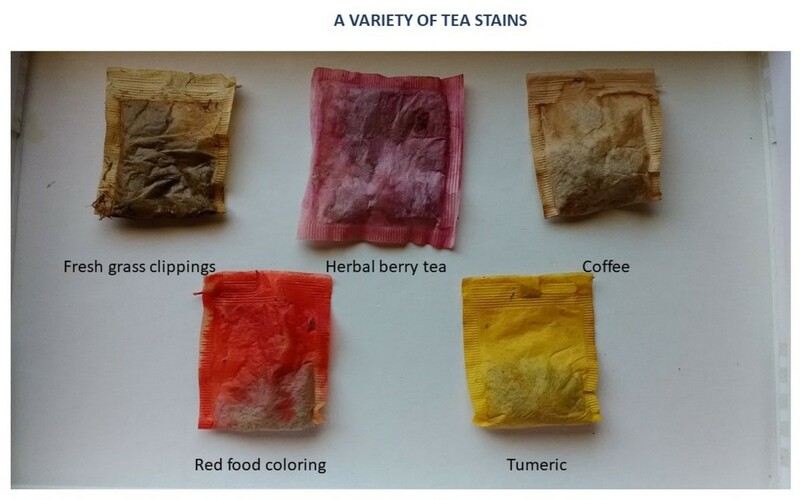 Turmeric tea stains the tea bag a bright golden yellow and the berry tea stains varied between rose pink and purple. My crafter's brain kicked in at that moment. What if I use the dried tea bags in art projects? I’ve tried a few things now. Some came out really great and some not so much. In the end, it really didn’t matter to me because I was having a ton of fun experimenting. Wrapping a small canvas is one of the projects that I am the most pleased with. I bought a few small canvas blocks of varying sizes from a discount store. You don’t need the premium stretched artist canvas blocks since you’re covering it with the tea bags. You won’t need to prime them either. 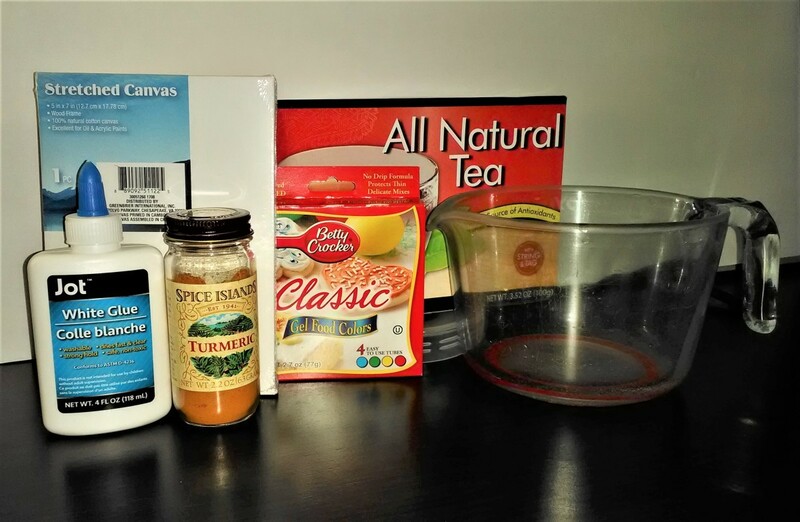 I'm showing the turmeric and food coloring here for stains but you can use anything to stain your tea bags. 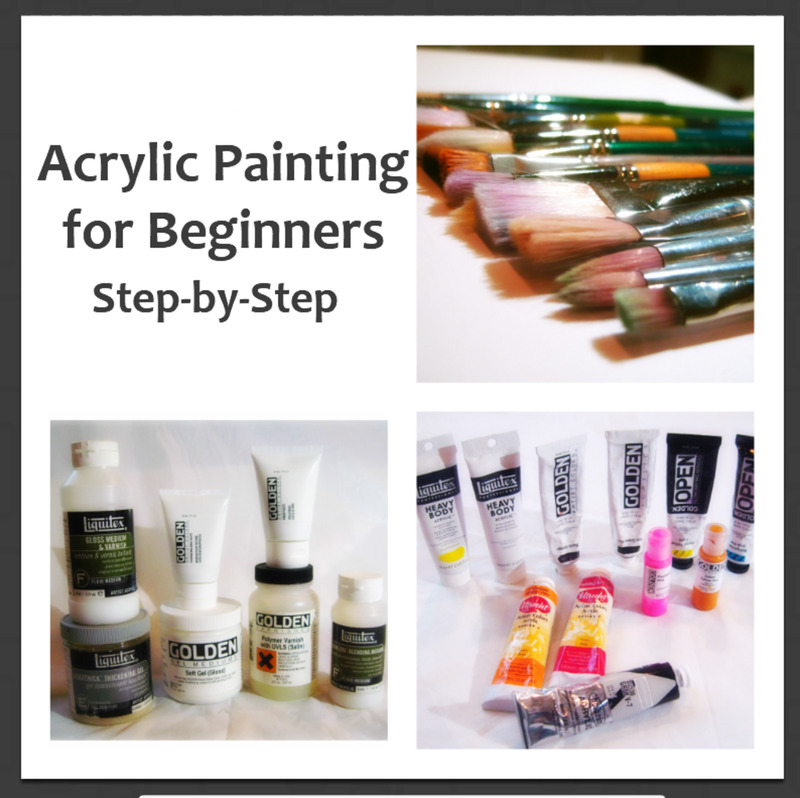 Consider coffee, water colors, wet grass clippings and more. You will use a lot. So I stocked up at the discount dollar store. If you don’t have any glue in the house then try mixing a flour and water paste. I haven’t tried it but I’m pretty sure that will do the trick to practice with at the very least. You will need approximately 20 tea bags for a 5 in x 7 in (approximately 13 cm x 18 cm) canvas block. The bags are really thin and you see right through them, so you have to layer over and over again to get the best results. Your tea bags have to be dry with the leaves removed. I’ll show you how to remove the leaves later in the tutorial. Start small and work your way up to bigger projects. My smallest project was 3 in x 4 in (7.5 cm x 10 cm). Teas come in a ton of delicious flavors but the colors don’t vary all that much. The natural tea stain is gorgeous of course but I wanted a little color too. I experimented with a number of natural stains like turmeric and beet juice but for the most vibrant colors you can't beat food coloring. 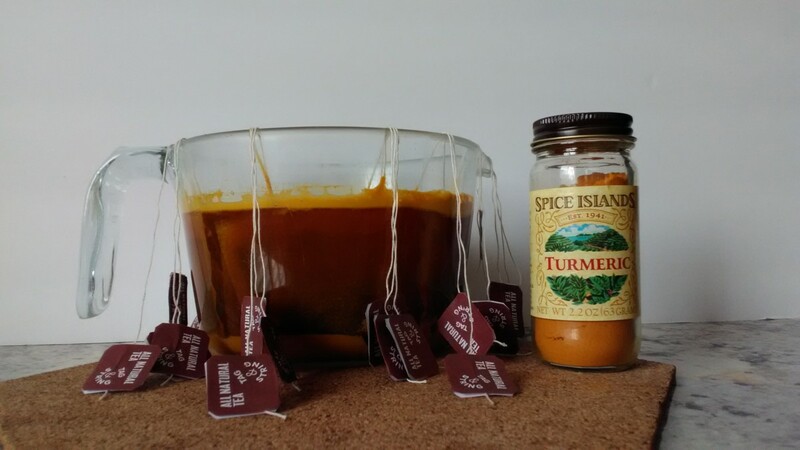 Turmeric is great if you want a strong gold. Microwave two cups of water in a glass jug until it boils. Add two teaspoons of turmeric to the boiled water and submerge the used bags in the solution for about 20 minutes. Take the tea bags out, drain and leave to dry overnight. Save fresh grass clippings. Place the fresh clippings and wet tea bags in a zip lock plastic bag. Seal the bag and squeeze it all together. Throw the mix on a flat surface to dry and brush the dried grass off later. The color I got was a brown khaki color. For a darker brown stain, mix two heaped teaspoons of instant coffee in about a 1/4 cup of hot water. Lay some regular black tea bags out on a paper plate and then spoon the coffee onto the tea bags. I dropped half a teaspoon of the concentrated coffee solution on each bag for a deeper brown stain. This is a great method if you want to control the pattern. You could also just use food coloring to stain your tea bags. Microwave two cups of water in a glass jug until it boils. Add a few drops of food coloring to the boiled water and submerge the used bag in the solution for about 20 minutes. Take the tea bags out, drain and leave to dry overnight. You could also lay wet tea bags on a plate and drop the color right onto it. 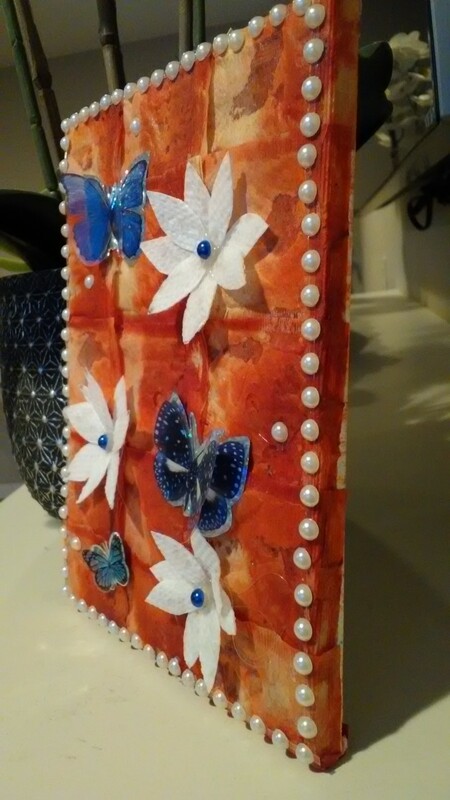 Once you've glued the tea bags to the canvas you can start having fun with decorations. Your options are endless. 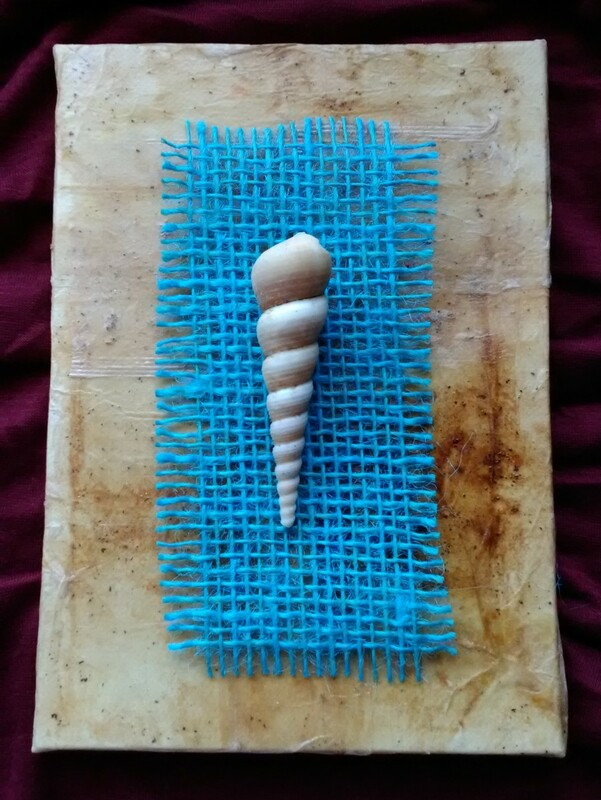 Try shells, some burlap (hessian), stickers, vintage items like old keys etc. Whatever you decide to use will look incredible. 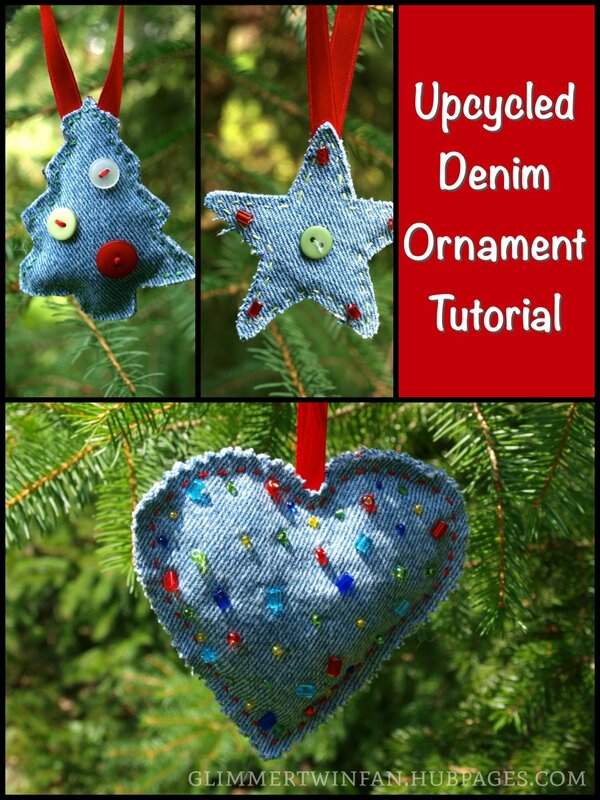 You could create your own decorations with the tea bags. I'm experimenting with tea bag flowers and balloons. Don’t throw the tea bags away because you can use them in projects too. Once you have stained your bags, it is time to remove the leaves. Lay your used tea bag out to dry. 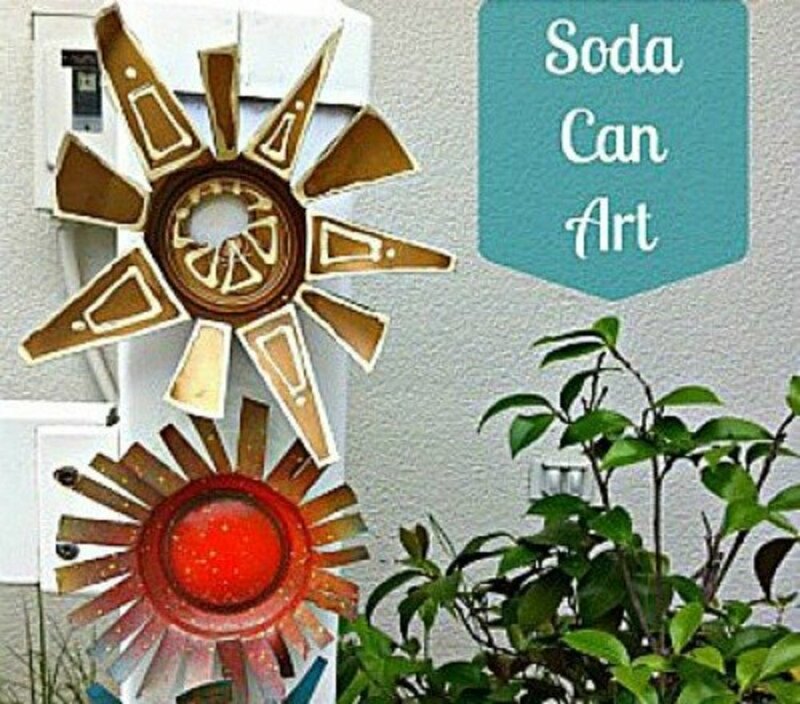 You can use a heat gun to speed up the drying process. For the folded tea bag with a string: Use small nail scissors to remove the staple and string. This type of tea bag is folded in half. Unfold it and pull it apart where you see a seam. Open it out and throw the leaves off. Use a toothbrush to remove the excess leaves. See the pictures below. For the square tea bag with sealed edges and no string: Once your tea bag is dry, carefully pierce a hole in the paper at the bottom corner of the bag and cut along the fold. Then shake out the tea leaves. You can use a toothbrush or your finger to brush out leftover leaves that stay in the bag. This type of bag leaves you with a pocket of tea paper. You could cut it open but I prefer to use it as is. See the red canvas pictures below for an example. 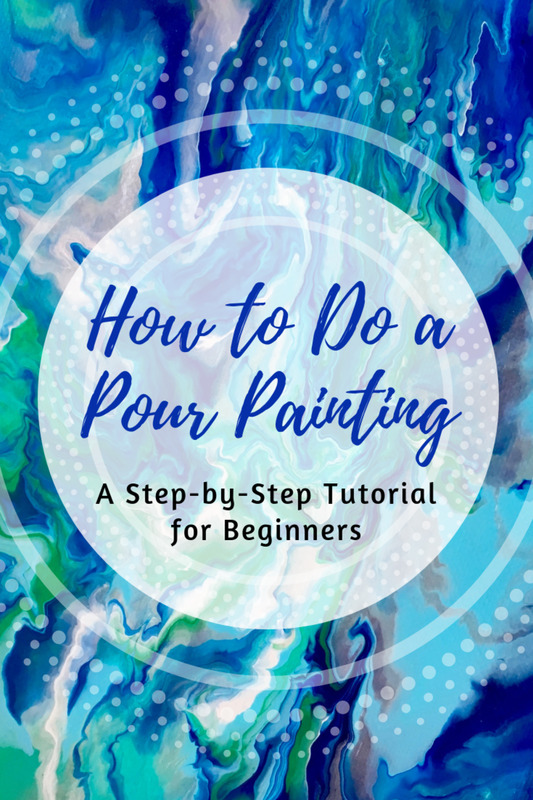 Pour the glue over the canvas and spread it so that it fills the entire canvas. Start placing your tea bags onto the canvas. You are in control here. 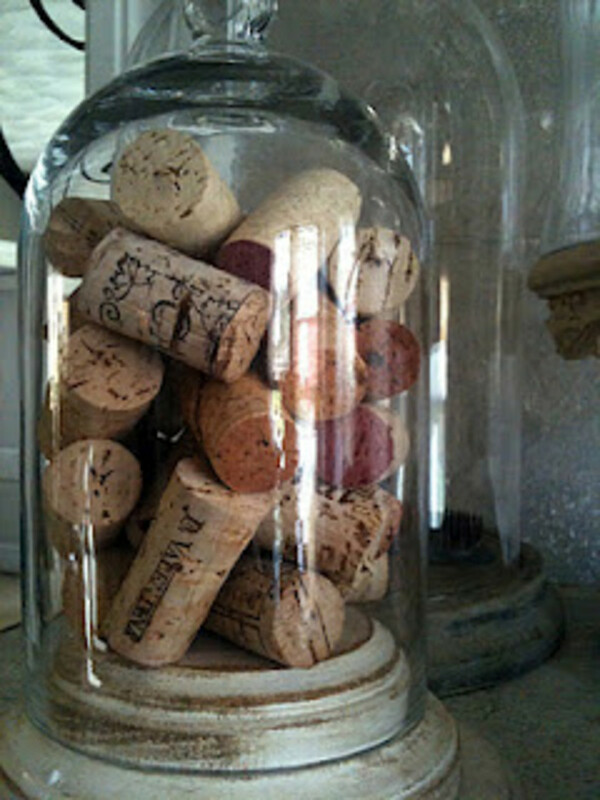 Place them in an organized pattern or haphazardly for a more organic look. Mix and match colors, sizes etc. Whatever you want. Go crazy. Pat the tea bags down to avoid bubbling and repeat with another layer. Keep layering until you are happy with the result. Leave the layers to dry then run some glue down the sides of the canvas to glue the tea bags to the edges for a neat finish. Decorate with whatever you want. 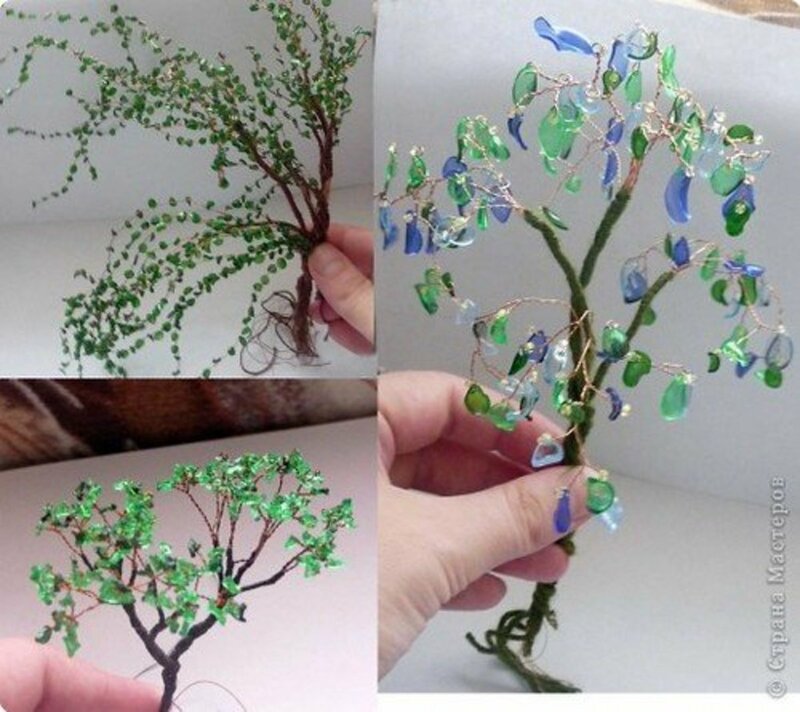 I’ve used buttons, hair clips, shells, beads, 3D stickers and more. 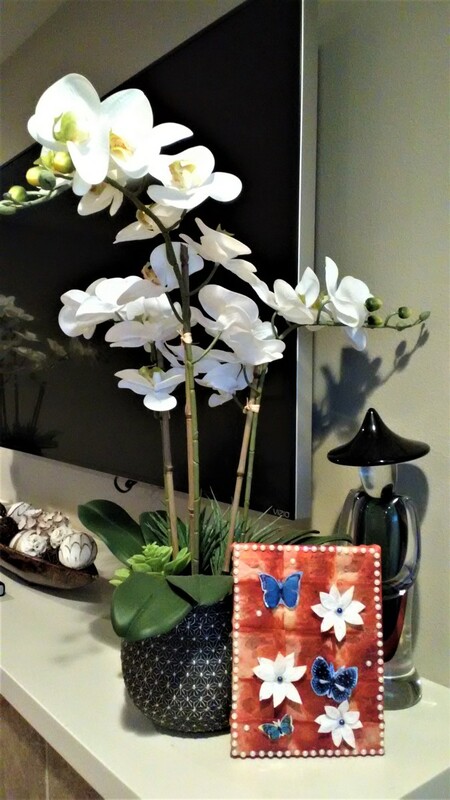 With this canvas, I decided to decorate with 3D butterflies and a paper towel flower. 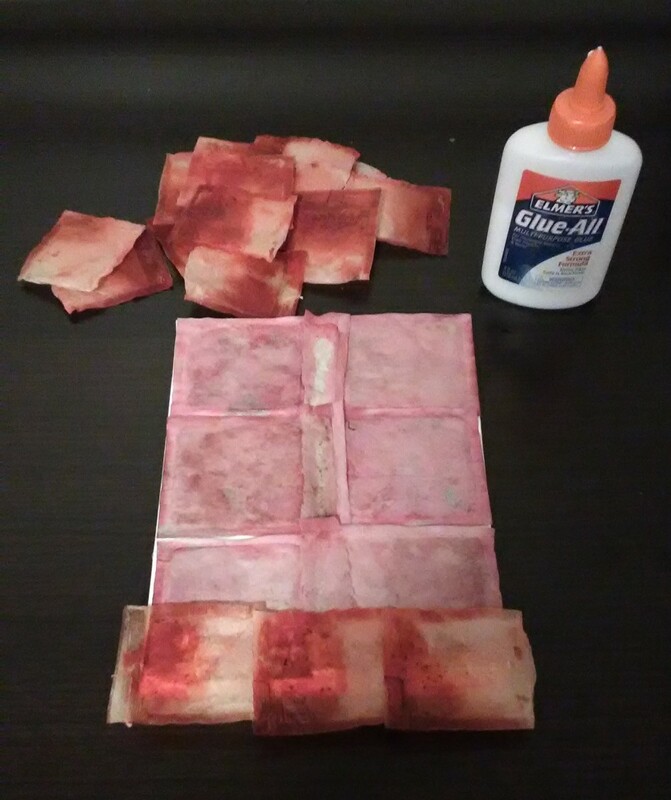 I used this paper towel petal method on a previous hub to make greeting cards. See the tutorial here for instructions on how to make the paper towel petals. 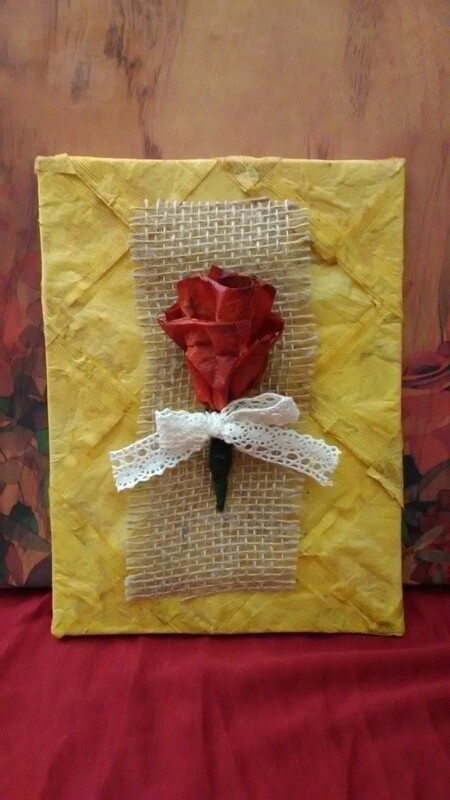 In the gallery below you will see a yellow turmeric stained tea bag canvas with a red rose. The rose is also made out tea bags. See the tutorial here to learn how to make the tea bag roses. Black tea, tea bags. I placed 3D stickers on the canvas to create a little story. Hi! Celeste. I love the idea! Never thought used tea bags could be recycled. The one with 3D stickers is really pretty. 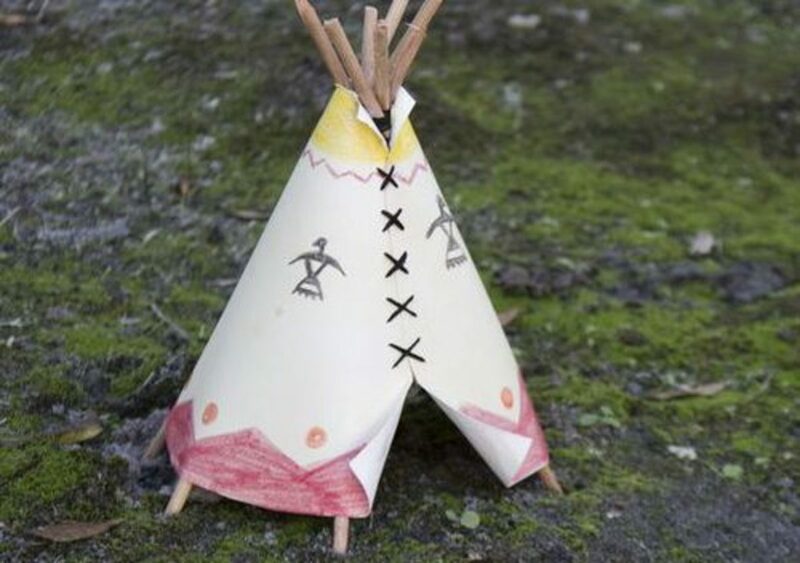 I am thinking of making one soon for my crafts crazy 6 year old sister. Thank you Verlie. I'm so happy you like it. celeste, I love this article, and I haven't even read it yet! Such a charming intro with the tiny tea bag art at the start. I've never heard of this. It is beautiful, what you've created here. Hi Susan, thank you very much. I am a little obsessed right now. There are just so many ideas swirling around in my head. The best part is that it is so affordable. What a wonderful tutorial. I love the idea of using tea bags as a crafting item. This is a beautiful, informative hub. Thank you Claudia. I have to learn to wear gloves. My fingers are red and purple from all the stains but it's just so much fun. Wow - Very cool craft and the tones you get are really lovely.